Some words in the English language tend to be overused and, therefore, lose their power. These words are referred to as DEAD WORDS. 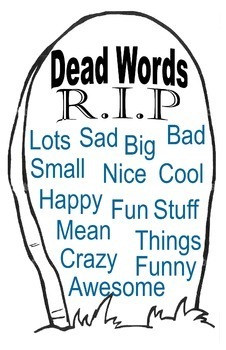 Learning Intention: To understand what is a DEAD word. * Record as many better words that apply to your words.